Inspired by “The Great British Bake-Off” ! 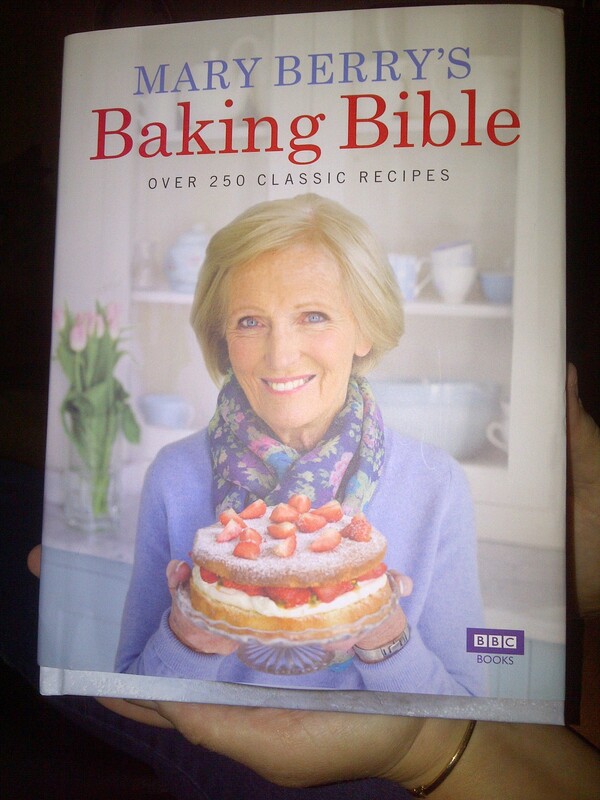 One day last week, I was browsing the news online and came across the above article, a young mum who set herself a challenge to bake EVERY recipe in Mary Berry‘s “Baking Bible” cook book. I read it with interest as I have always liked baking but have pretty much stuck to fairly easy stuff such as cupcakes which look great with little skill or effort. This young mum worked her way through Mary Berry’s book, not front to back, but ensured she covered every recipe – boy was she eager! She baked 2-3 recipes a week even when she was on holiday. I admired this lady and decided that after watching “The Great British Bake-Off” that I should set myself some culinary challenges and this article inspired me. So, I went online (ahhh retail therapy…), ordered my copy and waited for it to come through. I then sat and flicked through all the recipes, some I had no worries of completing, others I had fancied making and some looked a real challenge! I decided that one recipe a week, most likely a weekend challenge is what I would go for and announced on Facebook what I was going to do. My hubby , work colleagues and in-laws will become the taste panel and hopefully give their verdict and (hopefully not too much) constructive criticism! This entry was posted in Kim's cake challenge and tagged Baking Bible, Cake, Challenge, Cook, Great British Bake-Off, Mary Berry, Sponge cake by kimsideas. Bookmark the permalink. Pingback: Inspired by “The Great British Bake-Off” ! « Andrew's blog….